This is inspired by the amazing yuzu mushroom salad at Nobu. It’s so simple but so incredibly delicious. 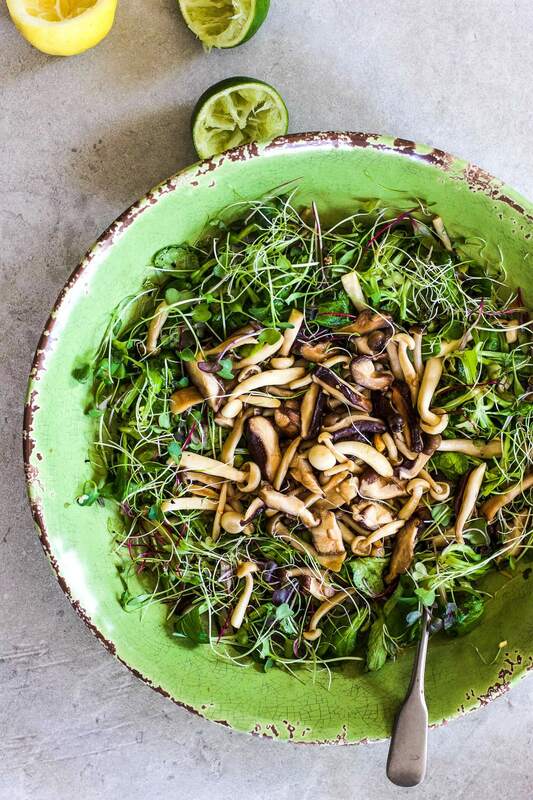 The warm wild mushrooms taste almost buttery and they pair so gorgeously with the citrusy dressing. 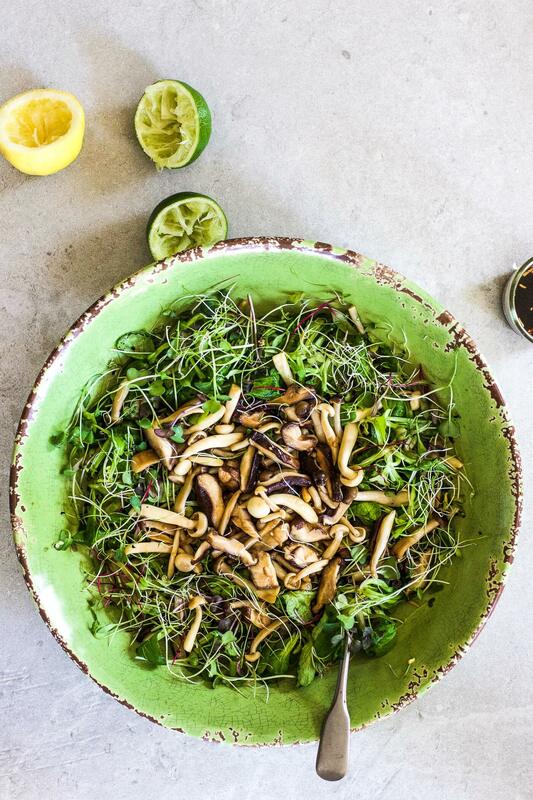 Make sure to buy really good mushrooms, it makes all the difference to the both the taste and look of this beautiful salad. Chop your mushrooms, some of them won’t need slicing as they’ll be lovely and thin but slice the shitakes into nice thick slices. Heat some olive oil in a pan on medium heat and then add in your mushrooms. Sprinkle with coarse salt and cook for about 5 minutes, tossing regularly. Let the mushrooms cool a bit while you make the dressing. Combine all of the dressing ingredients and put your leaves and sprouts in your serving bowl/plate. Add the gorgeous warm mushrooms to the leaves and drizzle the dressing on, tossing everything gently. Where do you get your mushrooms ????? ?